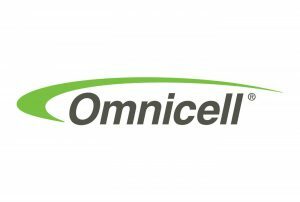 MOUNTAIN VIEW, Calif.— Omnicell, a leading provider of medication and supply management solutions and adherence tools for healthcare systems and pharmacies, announced the company will be showcasing the industry’s most comprehensive and customizable platform of medication management automation solutions at this year’s American Society of Health-System Pharmacists 2018 Midyear Meeting, to be held in Anaheim, Calif. from December 2-6. With more than $450 billion spent annually on medication management across the continuum of care, and pharmaceutical costs increasing 10 times faster than hospital revenue, pharmacy leadership is under tremendous pressure to improve outcomes and reduce costs. The Autonomous Pharmacy is a roadmap designed to develop a zero error, fully automated medication management infrastructure that empowers pharmacists, nurses, clinicians, and pharmacy staff to focus on patient and clinician satisfaction, leading to improved patient care, fewer errors, enhanced safety, and new opportunities for growth. Every dose of medication is considered a digital node in the network across the continuum of care. Through a series of autonomous workflows, powered by Omnicell’s cloud data platform, pharmacy leadership has access to rich data insights and optimization recommendations to address clinical, operational, compliance, and population healthcare challenges. Customers of the Performance Center have realized significant savings, on average two to three percent of annual drug spend, through existing capabilities designed to drive inefficiency and waste out of the medication supply chain. Continuing on that mission to improve business and patient outcomes, new capabilities will be available through the Performance Center in 2019. More than 90% of hospital administrators report that increased drug prices are severely impacting their budgets. As inpatient drug spend continues to outpace payer reimbursement, health systems need to have better insight to the impact of medication usage on the total cost of care. Clinical Insights ties medication use with patient outcomes, giving pharmacy leaders the confidence to optimize medication therapy while managing cost. Customers will have the ability to evaluate medication efficacy in specific patient populations, monitor and track trends among prescribers of “high risk” and “high cost” medication, and leverage comparative analysis within a health system or across Performance Center’s customer base. With controlled substance security and accountability being a high priority for health systems, Performance Center’s Diversion Insights offers a unique diversion monitoring service in conjunction with Omnicell Analytics, an advanced diversion detection tool. Combining skilled clinical resources with advanced analytics, Diversion Insights helps identify potential diversion activity for customers, and quickly brings potential cases to the forefront. Customers are also provided dashboards for monitoring diversion prevention program successes. With the launch of Omnicell’s XR2 Automated Central Pharmacy System, health systems are realizing dramatic improvements in inventory control and operational efficiency, including more than 99% medication distribution efficiency with Six Sigma accuracy, and over 20 percent faster turnover of medication inventory. Omnicell is now launching XR2 as a Service, which combines this groundbreaking technology with dedicated resources to support a more comprehensive approach to managing pharmacy medication inventory. As pharmacist and technician labor requirements have increased significantly over the last 10 years, these expert resources will help health system pharmacies address labor challenges and implement best practice optimization to achieve clinical and financial goals. XR2 as a Service is designed to scale to organizational growth and maximize the return on pharmacy investment, reducing administrative burden and allowing pharmacy leadership to focus on clinical care. Accuracy in sterile compounding is pivotal to hospital pharmacies improving patient safety and managing risk, as 55 percent of healthcare facilities expect to see an increase in in-house compounding volumes over the next three years. Omnicell’s IVX Workflow solution supports best practices in aseptic technique by providing step-by-step instructions to guide technicians in preparing IV doses according to set protocols—safely, accurately, and repeatedly. Powered by a fully web-based software suite designed to manage all aspects of IV compounding workflow operation across a hospital or health system, IVX Workflow offers comprehensive formulary management, remote pharmacist checking, robust reporting and analytics, and integration with pharmacy and hospital information systems. These innovative solutions, which complement integrated technologies in central pharmacy, clinician workflow, and medication adherence automation, support the next major step toward the Autonomous Pharmacy vision.